New Bern showcases buildings listed on the National Register of Historic Places dating back to the 1700s. The Isaac Taylor House, is a federal-style urban mansion built in 1792 by a wealthy merchant ship owner and gentleman planter. Isaac Taylor is the great-great-great-grandfather of illustrious Tar Heel singers Livingston and James Taylor. 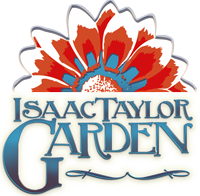 Tim White, James Taylor's Official Biographer tells the story best in Long Ago And Far Away: James Taylor - His Life And Music about the Isaac Taylor House in New Bern. Click to Find out more about the history of James Taylor's ancestry. The home is the oldest side passage townhouse in New Bern. "The woodwork in the Isaac Taylor House testifies to the elegance of life in early New Bern as to the ability of her craftsmen to work in the Adamesque mode. A wrought iron gate brought from Charleston, South Carolina, marks the entrance to the garden." -Listed on the National Register of Historic Places (view pdf). 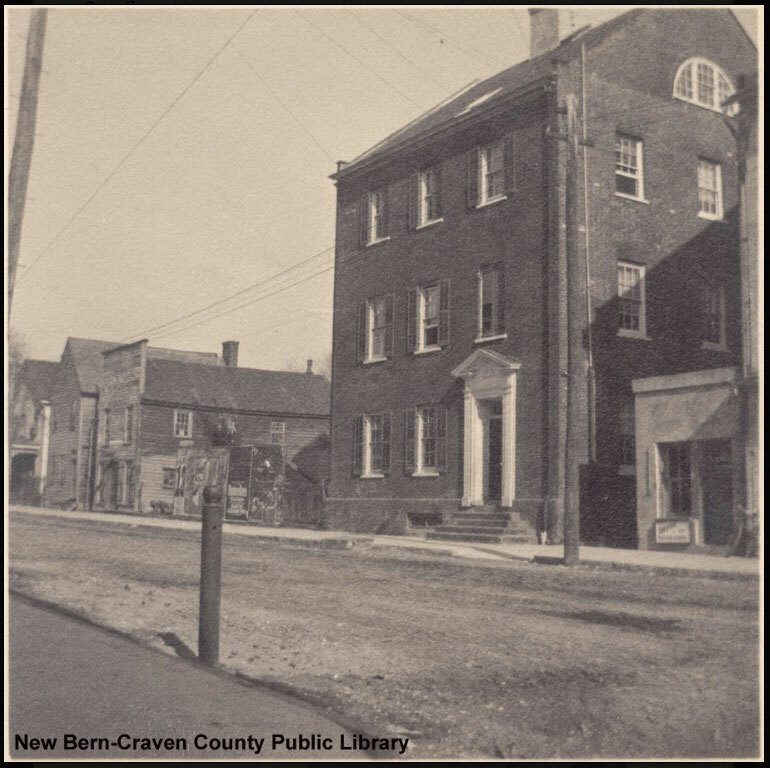 Isaac Taylor’s granddaughters, Phoebe and Catherine, were living in the house when Union troops arrived in New Bern in 1862. 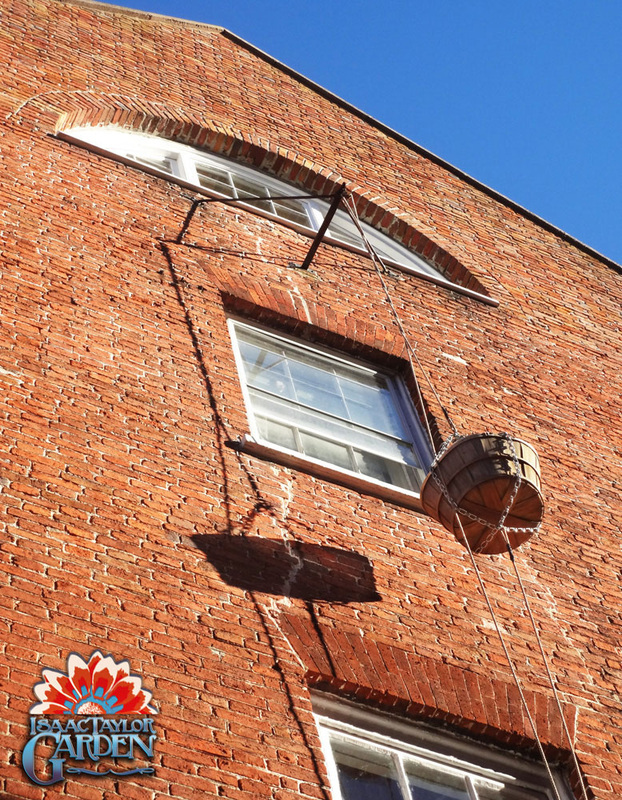 The sisters withdrew to the third and fourth floors and remained there for the duration of the war, using a basket with bracket-and-pulley system to transport food and supplies. You can still see the device on the south side of the building. The Isaac Taylor House is one of the stops on the Ghosts of New Bern Tour, and is said to be haunted by a few paranormal elements, ghosts and spirits. It is said that Miss Fanny was the youngest daughter of Isaac Taylor. She was due to be married, but a week before her wedding, her fiancé went for a walk, collapsed in the street and died. Miss Fanny was heartbroken and vowed to never leave her house again. It is said if you walk by the house, you can see her sitting in the first level front window, waiting for her fiancé to come home. 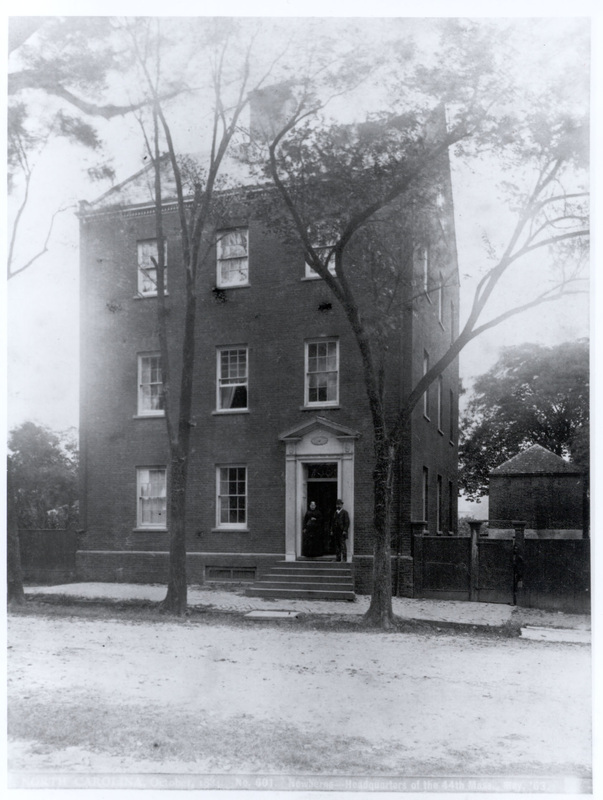 The buyer of the The Attmore-Oliver House on Broad Street house was Isaac Taylor, a prominent New Bern maritime merchant. Taylor purchased the building for his daughter Mary, her husband, George Sitgreaves Attmore, and their young family. Click to purchase The Book of Burwell Students. The Book of Burwell Students offers a rare glimpse into the world of women's education in the antebellum South. 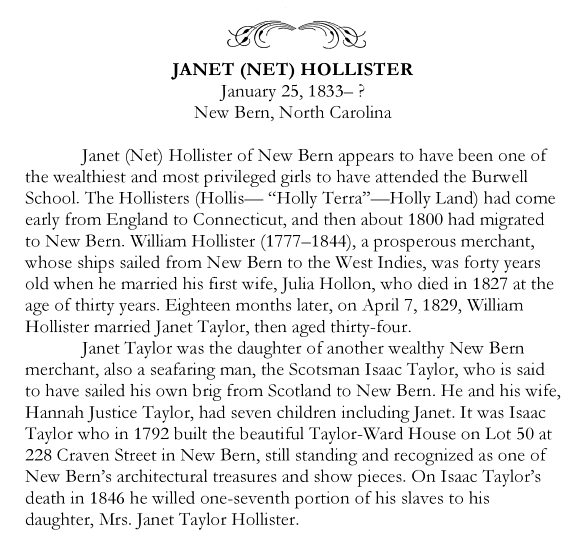 From 1837 to 1857, Anna and Robert Burwell ran the Burwell Female School in Hillsborough, North Carolina, educating more than two hundred young women, including Janet Taylor, descendant of Isaac Taylor. 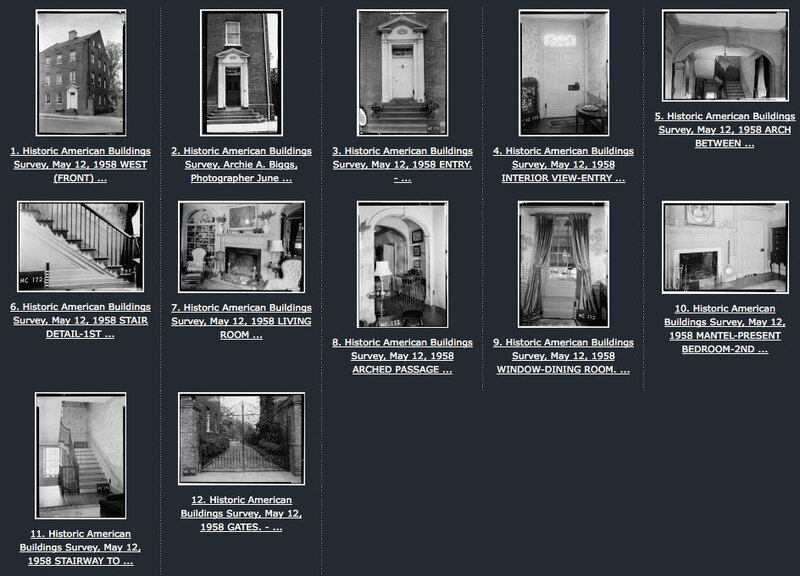 Click to view photographs of the Isaac Taylor House from the online catalog in the Library of Congress of Historic American Buildings surveyed in 1958.